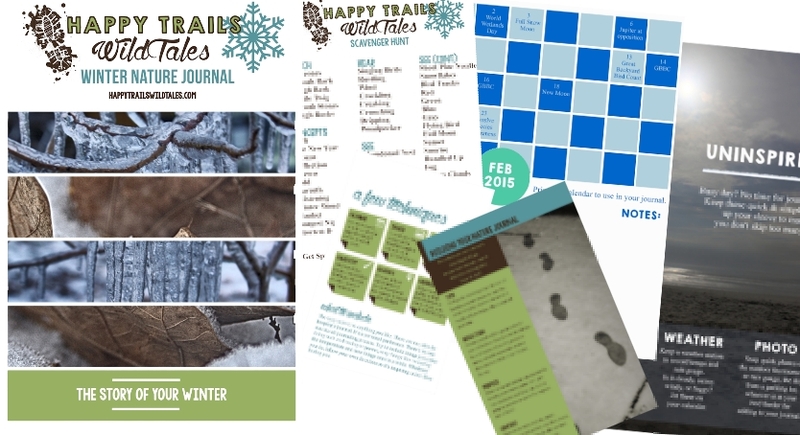 The Winter Nature Journal eBook [first in a series of four] is finally here! It’s a little later than I hoped, but it’s published just in time for Winter Solstice. I hope that my nature loving fans will find inspiration, ideas and information in the book to help propel your nature journaling into 2015. It is available for free to subscribers of Trail Mix Digest, the Happy Trails Wild Tales newsletter. Once you confirm your subscription [from a confirmation email], you will be redirected to download the Winter Nature Journal in PDF format. If you have ANY technical difficulties, please don’t hesitate to leave comments with your email address and I will help as soon as possible. Subscribe to the Trail Mix Digest and receive your free book! How cool! I know that my oldest will love this!